I’m sure we’re all completely tired of talking about the weather. Aren’t you? But I honesty can’t remember another year where I was THIS excited to see things growing and flowering. Or maybe it’s like childbirth and you forget what winter is really like immediately after it’s over and I actually feel like this every year? I don’t know. Anyway, ever since I was a kid, lilacs have been my all time favorite flower. They’re kind of an inconvenient flower to love because they don’t do well in a vase and they only bloom for like a week per year. But we had a big lilac tree at the house I grew up in and it had a low branch that was just right for sitting on. We moved away from that house when I was about 10 but I can still totally remember what it was like to sit on that branch surrounded by the beautiful flowers and the amazing smell. I’ve found myself thinking about that a lot as this brutal winter dragged on. We live pretty close to Grant Park now and there are several hidden places in the park that boast some amazing flowering trees in the spring. And like the lilac I had growing up they only last for about a week. It’s not quite the same but I really am looking forward to seeing them this year. And all this wistful thinking has made me totally susceptible to all things spring and flowery. 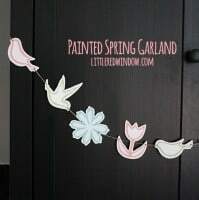 I’m loving floral patterns and I get sucked in by all the cute spring shapes and supplies at the craft store. 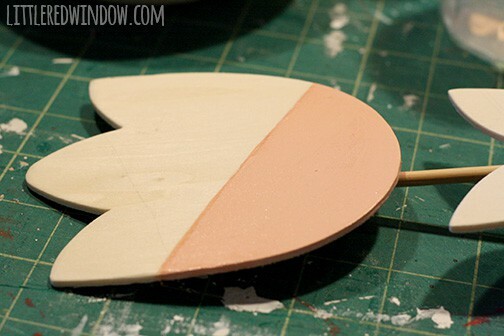 Which I guess is why I pick up these cute little unpainted wooden flower shapes the other day. They were about $2 each and I thought they’d look cute in the glass fronted cabinets in our dining room. After giving them a light sanding, I painted them with acrylic craft paint in pretty spring colors. The two tulip shapes also have a metallic color mixed in to give them a little sparkle and shine. In the end, they really do cheer me up. 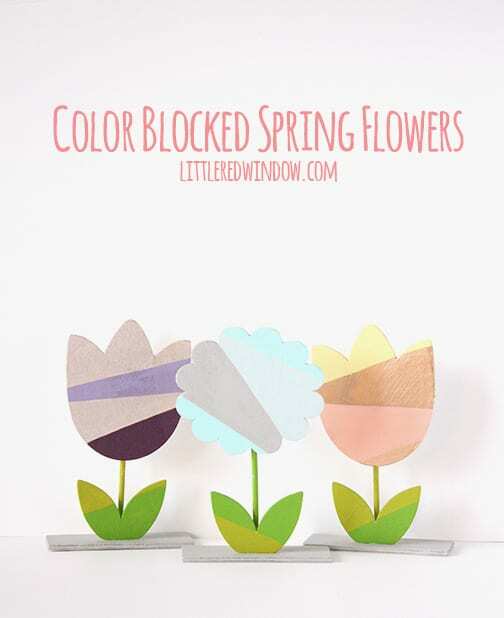 Color blocking maybe wouldn’t be the obvious choice for painting wooden flower shapes but I’m loving them. Tell me, what’s your favorite flower? These are lovely! I loved that you color blocked them! 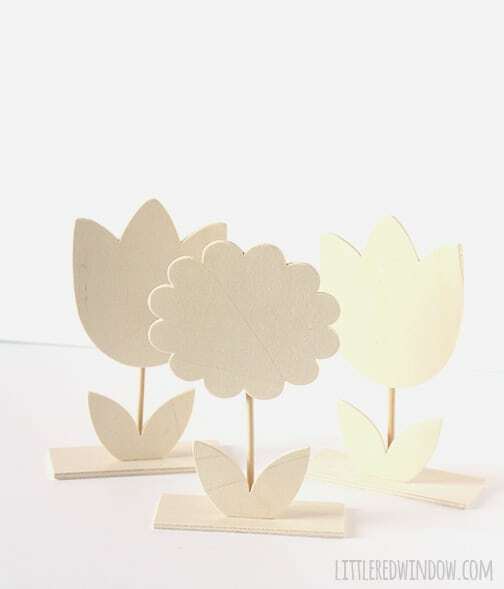 Where did you find these wooden flowers? I love them! Ashley, I got them at Michaels! Ok, I added it! Thanks for stopping by! So cute!! Love the colors you chose. Thanks for sharing at Take it on Tuesday!! How cute! I love these. 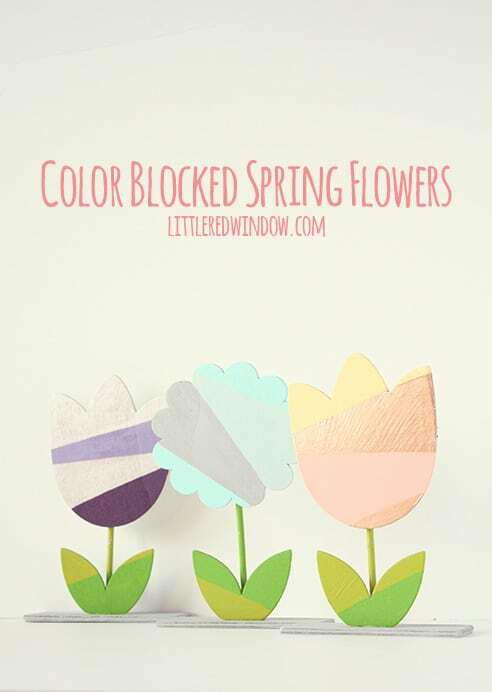 They look easy to make and would make a great impact in spring decorating. I might have to try these with the kids. I found your post over at the Creativity Unleashed link party. I clicked on your entry because it was a cute project that I hadn’t seen before! Hi Cassie! These flowers are adorable! LOVE THEM! What a fun idea! These are so cute. Thanks for sharing with Hump Day Happenings. So cute! I would definitely need flowers I couldn’t kill with my brown thumb lol. My favorite flowers are pink roses, but I always loved Easter lilies growing up. I also loved my grandmother’s tulips, because they would bloom early in the season after a brutal winter. We just got a coupe inches of snow, I sure would LOVE to see some sprouting tulips!! Thanks for stopping by!